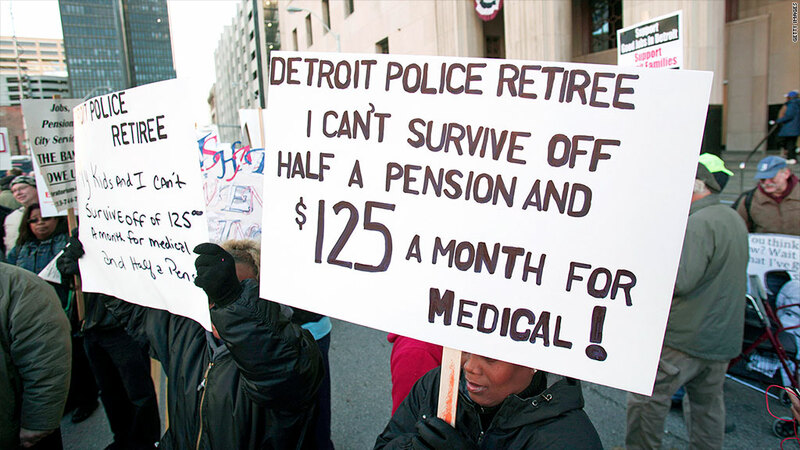 A deal reached Tuesday would take some of the sting out of proposed pension cuts for Detroit's retired police officers and firefighters. Detroit's emergency manager and retired police and firefighters hammered out a deal Tuesday that marks a big step forward in the city's efforts to exit bankruptcy. If approved, the deal would significantly limit proposed cuts in pension benefits for the public safety retirees. Bankruptcy mediators said the agreement with the Retired Detroit Police and Fire Fighters Association was the first the city had reached with any group representing its retirees. The association has about 6,500 members and represents more than 80% of Detroit's retired public safety workers. Under Tuesday's deal, retirees would suffer no cuts to their current pension benefits and would receive nearly half of their annual cost of living increases moving forward. The city, which filed for bankruptcy last July, remains in talks with other retirees and workers as well as the city's two pension funds -- one for public safety workers and one for general city employees. A person close to the negotiations, but not authorized to speak on the record, said talks were "close on a lot of fronts" but did not elaborate. Kevyn Orr, the lawyer appointed to steer Detroit through bankruptcy, had proposed cutting police and fire pensions by up to 14% and eliminating annual cost of living increases. He proposed far deeper cuts of up to 34% for general city workers and retirees. Orr has also proposed deep cuts in retiree health care benefits. In fact, the biggest liability on Detroit's books is the cost of health care for current and future retirees and their families. The mediators said Tuesday a fund would be established for retiree health care costs but did provide details. The news come as the city prepares to send out ballots to tens of thousands of creditors, including city workers and retirees who will be asked to vote in favor of cutting their pension benefits. While it may sound counter-intuitive, Orr has said a "no" vote would result in deeper pension cuts. Arthur Versace, a 62-year-old retired fire captain who currently receives around $45,000 a year from his pension, said that he would "definitely" vote in favor of the deal. "There is no way I'd say no," he said. "I think you'd be crazy not to take that." Orr has repeatedly pressured labor groups to negotiate so the city can move forward from its historic bankruptcy proceedings, which have already racked up millions in legal and consulting fees, and return focus to providing essential city services. Tuesday's deal will ultimately rely on funding provided by a "grand bargain" offered by private foundations, state officials and the Detroit Institute of Arts that pledged $816 million toward retiree pensions. In return, Detroit would relinquish control of city-owned art to the museum. Moving forward, the city's exit from bankruptcy will eventually rely on the final approval of bankruptcy judge Steven Rhodes. 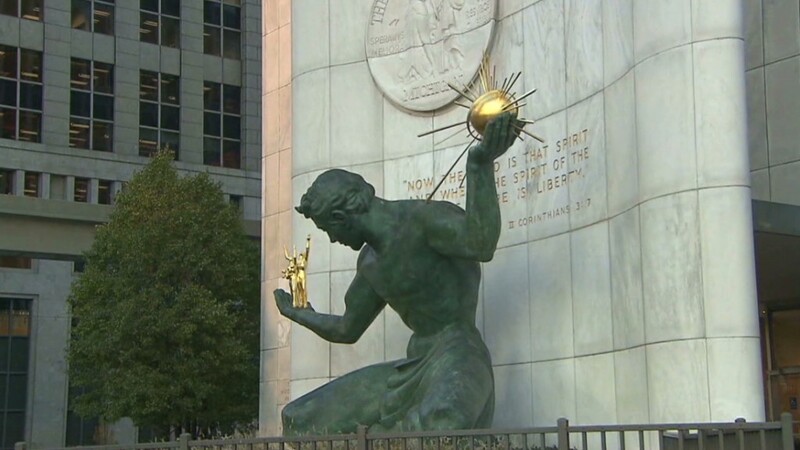 Michael Sweet, a California-based attorney at Fox Rothschild and expert in municipal bankruptcy, said this is the most significant step Detroit has taken yet toward emerging from bankruptcy. "This is a real feather in Kevyn Orr's cap. Having retirees go into court with him on a plan would send a very strong message to the court and other creditors," he said. Sweet said this kind of agreement seemed unlikely not long ago given the positions being staked out by both Orr, the pension funds and the city's unions, but "pressure makes diamonds." Are you a Detroit city retiree, public safety or otherwise? Email melanie.hicken@turner.com to share your story.